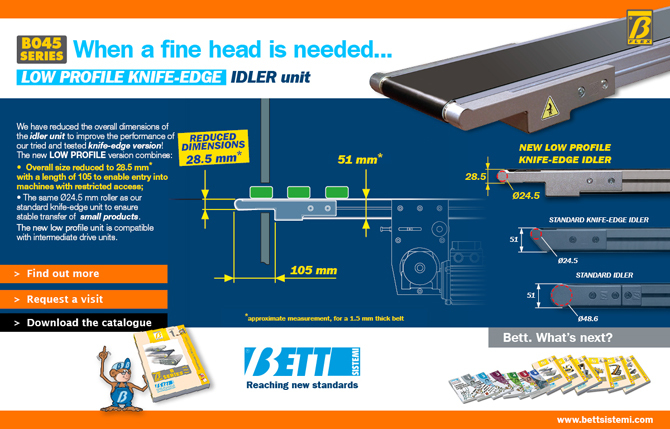 We have reduced the overall dimensions of the idler unit to improve the performance of our tried and tested knife-edge version! • The same Ø24.5 mm roller as our standard knife-edge unit to ensure stable transfer of small products. The new low profile unit is compatible with intermediate drive units.